Moog has launched a new version of the D680 Proportional Valve Series. They are throttle valves for 2-, 3-, 4- and 5-way applications, suitable for electrohydraulic position, velocity, flow and force control in hydraulic systems. The D680 product range has integrated electronics, and is suitable for applications with high dynamic response requirements. 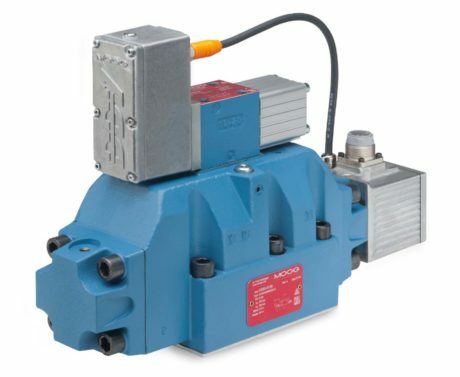 The newly launched version in this series is a two-stage valve with a closed-loop controlled D633 Direct Drive Servo Valve as the pilot stage. This latest addition of the product provides increased dynamics, repeatability and is more robust, making it suitable for use in even the most demanding environments.